Restoring true leadership to Oklahoma's 5th Congressional District. H.R. 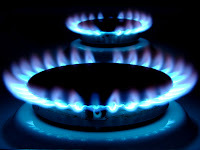 1835, also known as the "Natural Gas Act," is a significant solution to our ever-increasing dependence upon foreign oil. Approximately 70% of the oil we consume in this great country is imported and much of it comes from nations that are far less than friendly to us. So, in essence, we're subsidizing the war against our own people. It just makes no sense whatsoever. As Bob Barr has written in a column for the Huffington Post (not my favorite website in the world), Congress is talking a lot about it, members of both sides of the aisle support it, but it is just stalling and no one is moving forward with leadership to push the issue. From my experience in the Congress and following a lot of these things as a consultant on the outside, the NAT GAS Act for many months has been competing with our national fixation on healthcare right now. That's the bad news. The good news is that more and more Americans are now focusing on the economy and creating jobs, all of which this piece of legislation will impact positively. Oklahoma knows a little about natural gas and is one of the nation's leading producers of natural gas we have energy innovators such as Chesapeake Energy and Devon Energy headquartered in Central Oklahoma. These companies are job-creators and they know that without a question, the Nat Gas Act would stimulate the economy and help create jobs immediately in the private sector building natural gas infrastructure. Natural gas is a clean burning alternative for vehicles and is exceptionally efficient. The use of natural gas as a vehicle fuel alternative is not only good for the environment, but reduces our dependence upon foreign oil. The Natural Gas Act will create jobs for Oklahoma's 5th Congressional District. So, why is Congress so slow to act? Again, it's a lack of leadership and a lack of vision for the future. For decades, Congress has been reactionary rather than pro-active. When elected to Congress, it will be at the top of my list of priorities to pass the Natural Gas Act.